Home Features	2016: What can N221.7 billion do to Nigeria’s Health Sector? 2016: What can N221.7 billion do to Nigeria’s Health Sector? 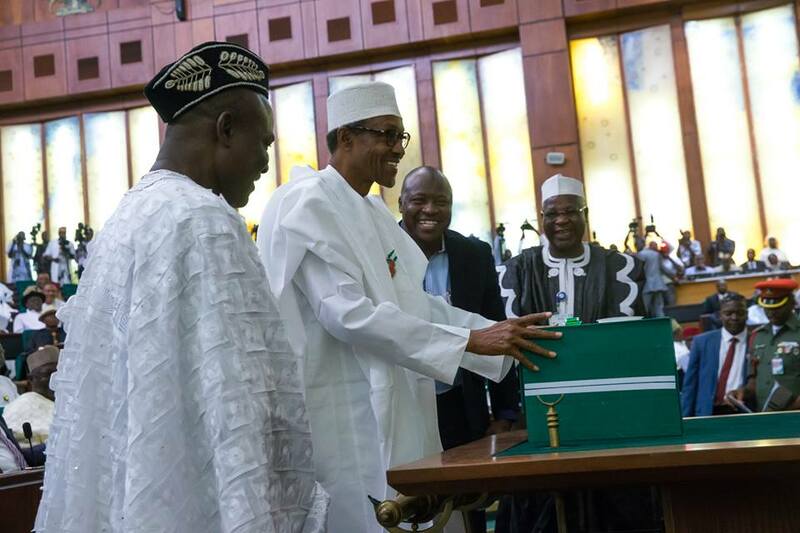 “We will not betray the trust reposed in us” President Muhammadu Buhari’s 49th point out of 54 points presented to a joint National Assembly during his 2016 budget presentation on the 22nd December 2015. At the National Hospital Abuja, her eyes were glued to the television, she watched with all attention, despite the noise of hundreds of patients in the waiting room who were all tired and bored of sitting for turns to see doctors in the few consulting rooms that were not locked. Her comment got the attention of almost all the patients in the waiting room, their responses pointed to the fact that the “normal Nigerians” those who cannot afford a trip to India, London, Dubai, and other medical tourism hub for rich Nigerians are wiser. “What can N221.7billion do in health?” Adeyemi asked. The Health Sector got N221.7billion in recurrent spending, while education got N369.6 billion, defence N294.5 and N145.3 billion will go to Interior ministry. “this will ensure our teachers armed forces personnel, doctors, nurses, police men, fire fighters, prison service officers and many more critical services providers are paid competitively and on time” the President told Nigerians. Nigeria’s health sector in 2016 is expected to align its programmes to domestication and implementation of the National Health Act accented by the president in 2014, and the Sustainable Development Goals which Nigeria among other countries in the World signed up for 2016. The 2016 budget of N6.08 trillion is big on capital spending- N1.8 trillion, compared to N557 appropriated for capital spending under the President Goodluck Jonathan administration last year. With this 2016 N275.8 billion proposal, the health sector is getting only 3.65% of the total budget which is a reduction from the 2015 proposal of N278.8 billion which accounted for 6% of the total budget to health. 2015 budget unlike the 2016 which has N6.08 trillion, was N4.46 trillion, “insufficient” was the financial status in the health sector in 2015, the hardship in 2016 will obviously toll higher until Nigerian politicians agree to prioritise health care by reaching the benchmark of 15% Abuja Declaration. What is not certain is how much of the President’s capital spending will come to health. Dominating a third of the budget presentation and a possible hike in future years, the president maintained that the budget of the APC led administration will remain committed to economic diversification as a way of building legacy for all Nigerians. Good points which never explored the potential in health as a contributory part of every economic growth. With a population of over 170 million, Nigeria still share the highest disease burden, from HIV, to Childhood killer diseases, maternal mortality, infrastructural decay, medical tourism, and professional disharmony among health personnel, growing cancer epidemic, diabetes, and many more. According to official estimates, Immunisation alone will cost Nigeria $1.4 billion, at N197 to a dollar, which is N275.8 billion. If the country fully commits funds to cover its immunisation programme, 75% of diseases would have been prevented. Unfortunately, funding for health in Nigeria is 70% donors driven. Reliance on international funds and philanthropists has killed Nigerian political leaders’ will for health development. For immunisation in 2016, the National primary health Care Development Agency (NPHCDA) which coordinated immunisation activities for Nigeria through its Executive Director Dr. Ado Muhammad, said Nigeria has “secured” a $148million GAVI, the Global Alliance for Vaccines Initiative, which helps to procure vaccines around the globe. Nigeria is expected to commit $166 million as counterpart fund to ensure availability of vaccines and full immunisation activity in 2016, what will be left if $166m is taken from N275.8 billion. Health stakeholders in different occasions are all interested in the implementation of the National Health Act which contains all interventions to achieve quality, equitable and accessible health care service delivery to all Nigerians, but the much celebrated 2016 health budget did not make the recommended 1 per cent of total consolidated revenue to health as stated by the Act, from the budget presented by the president. The question experts are now asking is whether the president, the senate president and other politicians even know anything about this 1% for NHAct? The President did not say anything about it, despite the high expectation of the implementation of the act with the said fund by 2016. If the President meant his comment that “This budget represents a major step in delivering a new opportunity for Nigeria, it demonstrates our confident optimism that despite the challenging time, we have the will, resourcefulness and commitment to deliver prosperity to our people, and by the grace of God and the sheer determination of the Nigerian people, we will come out stronger and more united than ever.” Then the health of Nigerians must come first.